I started using drugs in my 20s, I was dating a guy who was addicted and though I didn't like the drugs he did, I was head over hills for him. In my mind if I just gave him enough love i would be able to cure him, yes I thought I was the answer to addiction, they say love conquers all. After a few years I realized he wasn't going to quit and I did the old if you can't beat him join him stunt, and join him I did. I was shooting up cocaine within a few months of trying drugs and love does conquer all, my love of cocaine cost me everything else in my life. I did other drugs, pills, meth, but cocaine was all I thought about, not the 4 beautiful girls that loved and needed their mom, not even about the guy I thought I loved so much, I was out trading everything in my world for that next shot. I did realize at one point that life was spiraling out of control, but I had no way of stopping the train wreck I knew had to be ahead. In 2001 everything blew up I was with someone we were trying to score dope and a man got killed, I was arrested and charged with capital murder, I sat in jail fighting for my life for 2 years while the courts sought the death penalty, I cried, I screamed, I prayed, I begged. I longed for my children, and my dad, I prayed to die yet continued breathing. On the day of trial I wasn't given death, I was sentenced to 10 years. Prison was the strangest life I had ever imagined, it was such a different world, I wasn't allowed to even write my kids, and rather than see any of this was troubles of my own making, I got angry, I was mad at the state, the judge, the prosecutor, God, and anyone that stepped into the world I was stuck in, as the years went by my heart hardened, my emotions died. It was 7 years before I was released, in those years my sister committed suicide, my children grew up and learned to hate me, my dad and mom grew old, life had gone on without me. I thought those years there had cured my drug problem... no, it was waiting on me. I had a hard time trying to adjust to life, I found courage in a pill bottle, within a couple of years I was back in jail on a new charge, served out, got high and went back. I have only been out of jail a month now, yes I have done drugs since my release but I know I don't wanna be that person anymore, I also know it's my choices that have picked my path and if I don't change I'm gonna die in jail, or at my own hands. What I have been through is a part of me now, and over the years I've gained wisdom, met amazing people, lost amazing people, now I wanna help people but first I gotta help me. I created my house of pain, but I'm definitively ready to move out, lived here long enough please pray for me and the strength to change. My heart breaks as you tell your story and I know that you'd like the future to be different then the past. I also know that God is with you and wants to help you move past your addiction and towards a fulling life free from the chains of drug use and dependence. Addiction is very hard to conquer by ourselves. We NEED the support of others who have been were we're at in order to help us to move past it and into recovery. Are you working the 12 steps? Do you attend DAILY AA or NA meetings? Do you have a sponsor who cares about you and who you can rely upon when the going gets tough and you want to use? I'm a mental health counselor and have worked with many women who have lost their children. 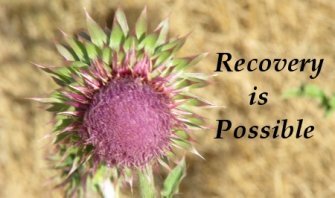 The guilt and pain can be overwhelming but slowly it is possible to move past your past and into recovery. You need to get as much support as you can, including individual counseling and group therapy in addition to working the 12 steps. Please seek the services you need to get help to move past your sorrow and to allow God to help you live the life He has planned for you. I started drugs at 15 in 1970. I battled all kinds of drugs till my early 40s . I kept smoking pot, thought it was ok. Got to a point were I felt like I was in a rut and couldn't get out, sitting in bed smoking a joint, it was like it's time to stop... I was 58. I asked God to take this urge from me. Well I actually felt something leave my body. Haven't smoked in over a year. You can break the chains of addiction. Praying for you!! I am so glad that you decided to share your story about what happened in your life. i am sure this had to be hard to face. Addictions are hard to get over and it's important to have a lot of support as much as possible. "all who are of heavy heart, come unto me and I will give you rest, for my yoke is easy and my burden is light"